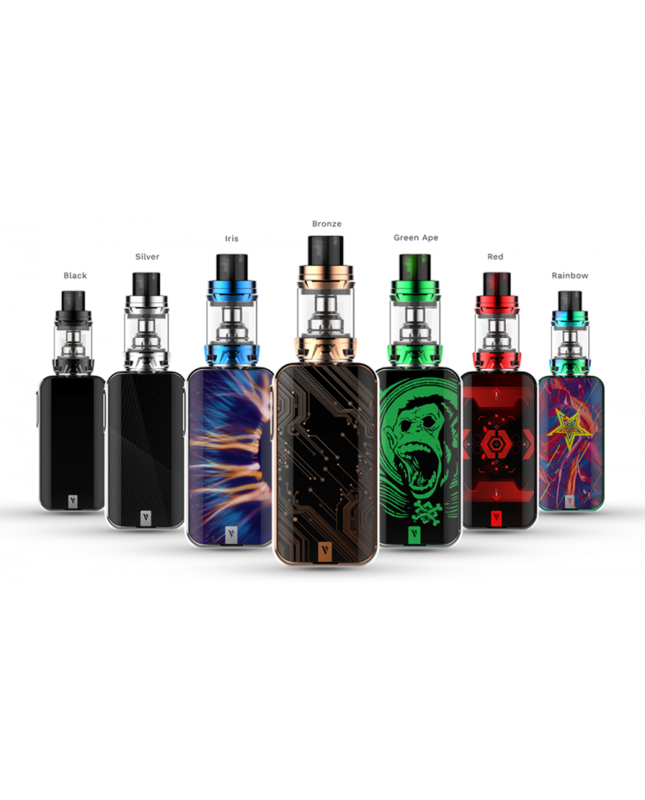 The Vaporesso Luxe 220W Vape Kit, which includes luxe box mod and skrr tank. 7 fashionable colors available. 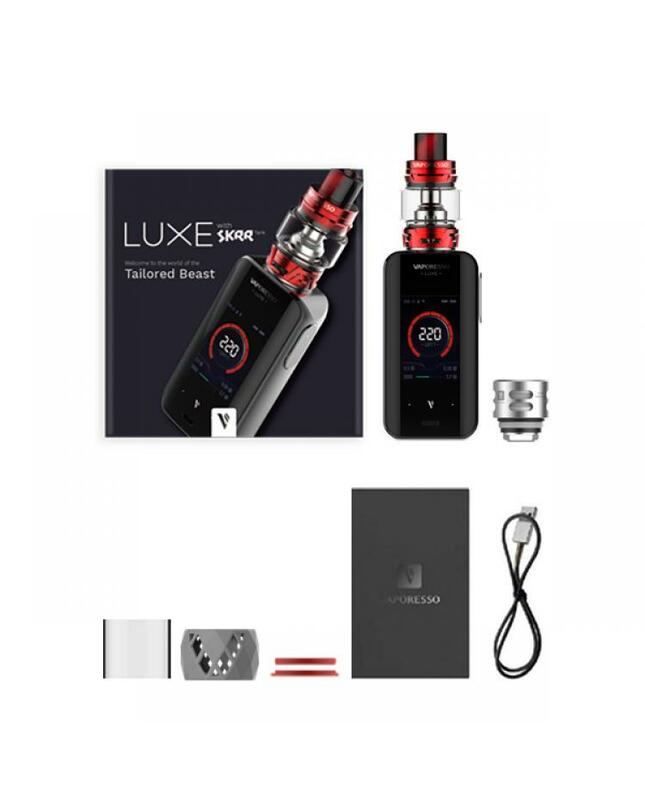 the luxe mod powered by dual 18650 batteries and max output 220watts, supports resistance as low as 0.03ohm, the insta-fire technology provide the most rapid, stable safe firing rate low to 0.001S, the insta-fire quick heating system brings you rich flavor and denser clouds within the very first puff. vapers can choose the superplayer mode, which is the broadest resistance range mode and adaptive to all mainstream tanks. 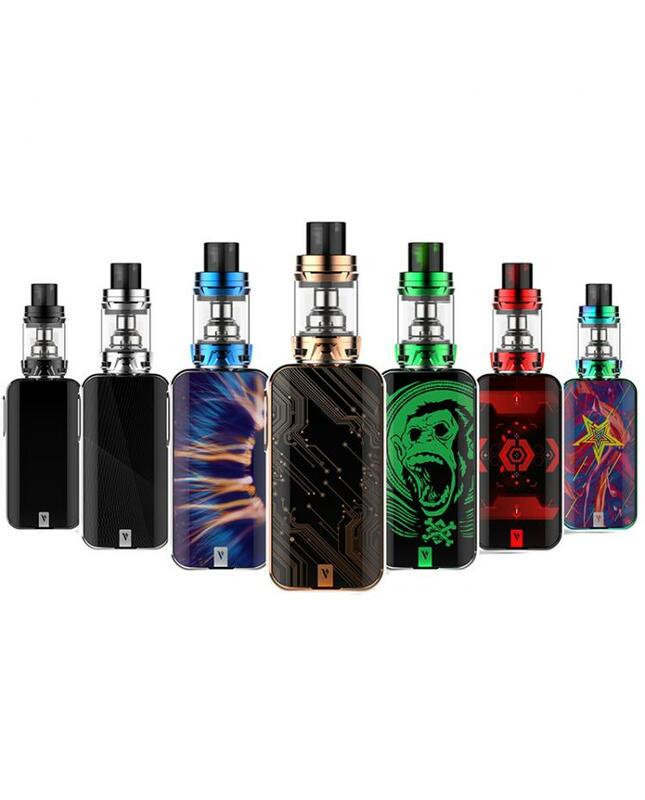 it features 2.0inch TFT screen with touch panel and an optimized user interface, which will let the operation more simple and show you the vaping date clearly. the built-in OMNI-BOARD 4.0 chipset with 2.5A ultrafast charge technology allows the batteries will be fully charged in a short time. the vaporesso skrr tank can hold 8ml e juice, convenient top refill and bottom airflow adjustable designs, the newest vaporesso sub ohm tank with innovative QF air distribution system, which increase and optimize the airflow and create even bigger and dense clouds, the QF coils's bullet-shaped inner structure controls air flow to prevent liquid from coming up through the drip tip.combining the use of airflow and an internal reservoir, it will prevent messy cleanup and maximizes efficiency of e juice. three new coil heads available, the QF mesh, QF strip, and SK CCELL. the QF meshed coil design creates intimate contact with the organic cotton wick for rapid and even heating, produce insanely rich flavor. the QF strip coils design provides rapid, even heating, with the longer lifespan. the SK CCELL coil heads include temperature control through the use of SS316 coils, allow you to vape at higher wattages, deliver pure and smooth flavors.